Carinn; carerynn | Malaysia Fashion, Beauty & Lifestyle Blog: Shopping: Carousell Pop-Up Market Day 2 + Haul! Harlo! 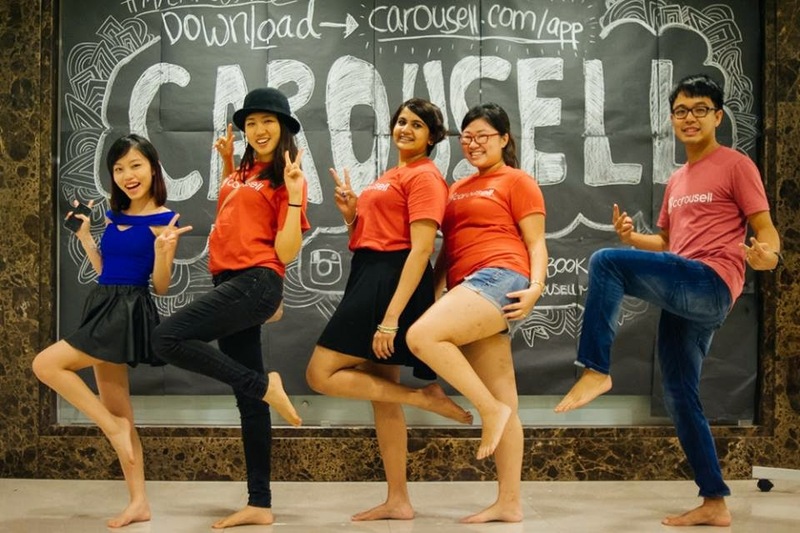 So the Carousell Pop-Up Market just ended today and I AM EXHAUSTED. As it is I haven't been getting enough rest after exams but it's ok, it's worth it if it's fun!! You can probably tell from my sickly look in the photos -_- If you haven't read my post on Day 1 of the event, you should totally go read it! NOWWW!!! Hehe. (Find my other posts on Carousell here, here and here). Day 2 was even bigger and better IMO! Early morning set up the booth (again) with Audrey! We decided to mark down a lot more of our items (cosmetics and clothes) because we really, really just want to clear out the stock. Janey came to visit! <3 Thanks for the yummy donuts and for buying our stuff! She told us to stop her from shopping but she ended up buying from us as well HAHAHA thanks Jane!! 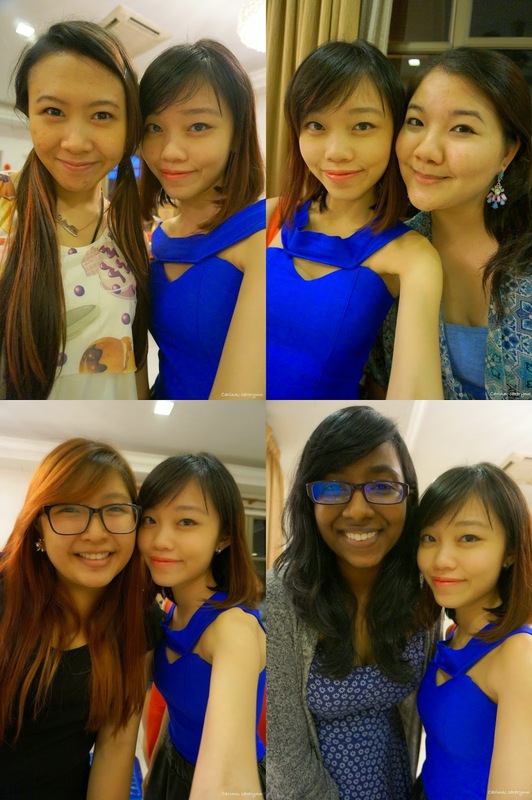 With Hui, Jialing & Mingxiao! Thanks for coming, girls! With the lovely blogger ladies and vendors upstairs. Because the place was so small, we had to make do and share. There were even more people, and even more things on Day 2 and we could barely find space to walk. But I'm glad that everyone accomodated well and offered help in any way we can. We tended each others' booth when one was busy. I think the girls even snuck out to grab McDonalds at some point :p It's been a great weekend bonding with these girls! From left: Sarah, Nicole, Jessica, Ashley, me, Grace, Audrey, Becca, Carrmun, Vickii & Kishya! 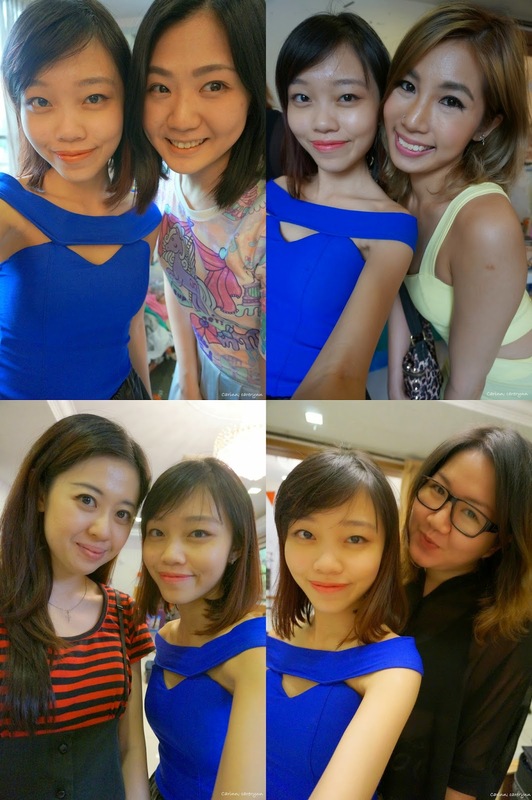 Always happy to meet new friends :) Coincidentally, they're from Sunway Uni too! 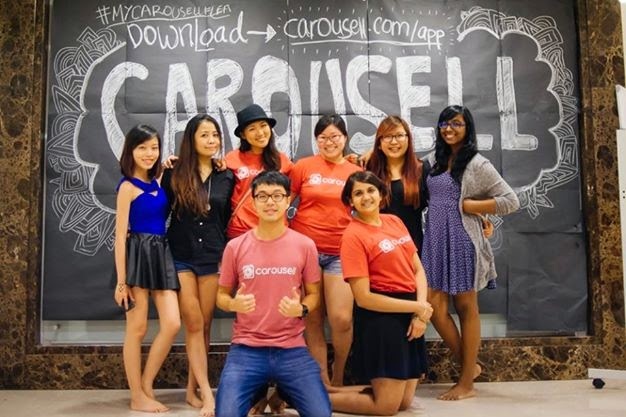 Finally got a selfie with Olivia, the Carousell Indonesia Community Manager. She is so adorable, seriously! Too bad we didn't get a full group photo with everyone but this is the next best thing! We were the last to clear out and leave, hence this awesome photo! After dropping our stuff at home, Aud and I went for a little celebration at Sushi Zanmai. Aud introduced Agedashi Tofu to me which I tried for the first time and I loved it. Will be ordering more of these in the future at any Japanese restaurants I frequent..
A basic pastel yellow top from a fellow Carouseller, from F-Block. I don't really mind that it's preloved because the condition is perfectly fine and it's only RM5! This was from a fellow Carouseller too and it's brand new! I thought this looks pretty formal and elegant if matched with midi skirts. The material is also quite thick and the imprints are quite elegant! Not bad at all for RM15. Oli set up her booth on Day 2 and asked me to check out her stuff. I need a proper, feminine cardigan for work and formal stuff so I grabbed this from her for RM10. It's not too thick, the length is just right and I like the ruffles at the bottom which gives a little more definition to the waist. Check out my tattoos from @shappytats on Instagram & Carousell! They're totally cool and unique. Gold & silver shiny tattoos are in trend now, btw :p I got both designs for RM5 only and I still have the unused tattoos with me to use for other occassions! To support Pam's shop, I snagged this floral dress (last piece!) for a wedding I'll be attending in December. The skater dress, heart-neckline and floral design makes me feel younger. It's also a perfect fit! For more photos of the event, view them HERE. Find and tag yourselves! Thanks dear for all the help and accompany! I love you!